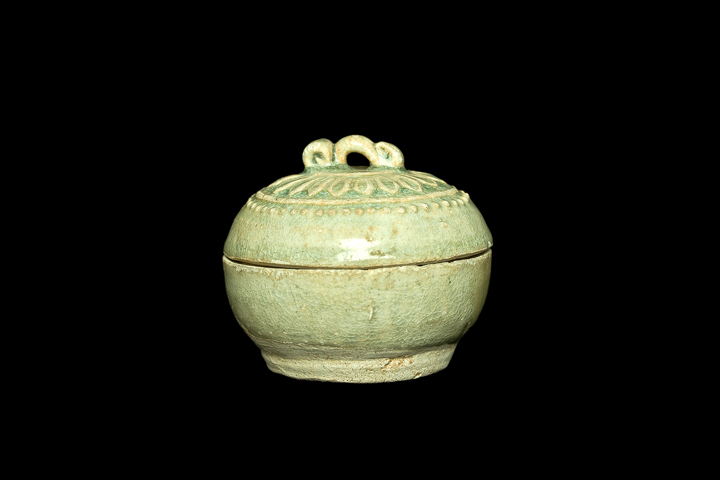 Appraisal: This type of celadon-white covered case was very popular in the Song Dynasty. They were made from north to south in the major kilns. 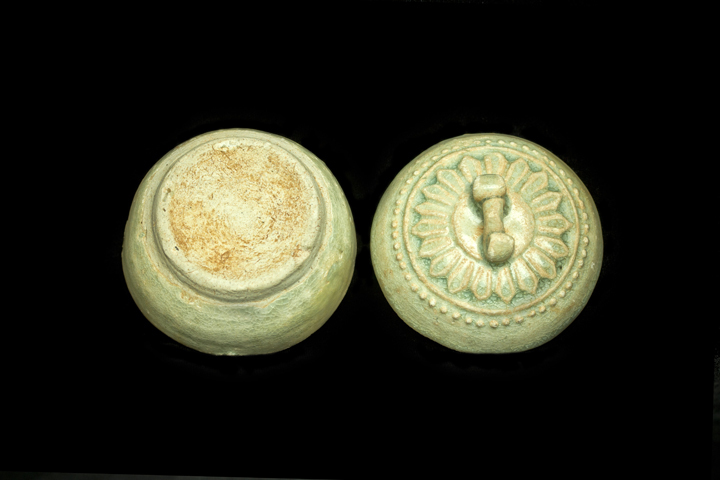 They were widely used, could be fitted for makeup powder, spices, pills and ointments. 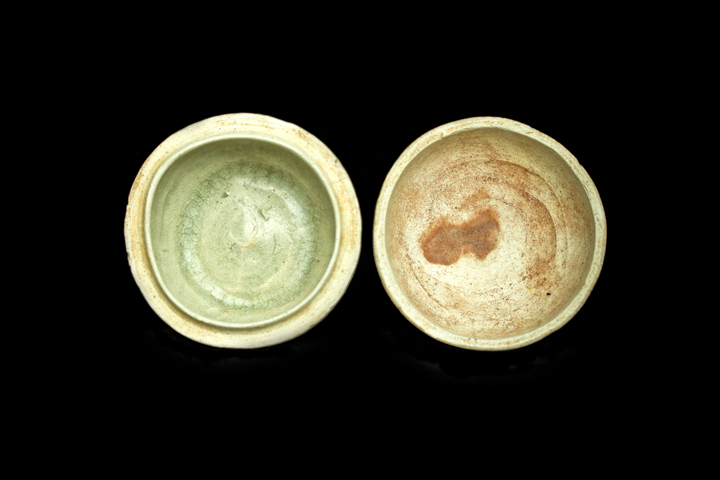 In common society during the Song Dynasty, there was a wide interest in playing Tea- Fight (as a game) with white tea. 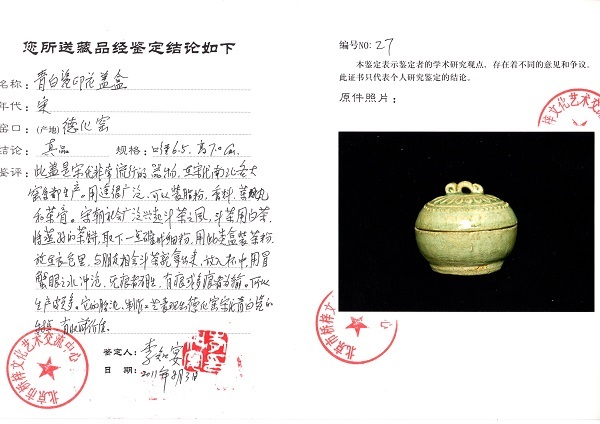 A person would remove a small portion of white tea from a steamed tea cake, ground the portion into fine powder, put the fine powder into this covered case, and then hide the case inside his clothes. When friends met to play Tea-Fight, the person would put the white tea powder into a cup, and then the “crab’s eyes” water (which is water that is stuttering and begin to bubble) to make tea. If a player’s tea showed no trace of powder, he became the winner; otherwise, the player became the loser when his tea showed a trace or more in the cup. Therefore, this type of covered cases were in mass production. 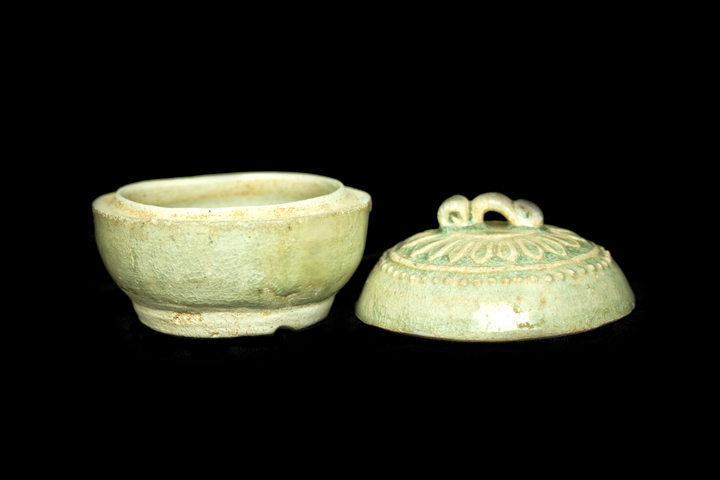 This object’s clay texture and the craftsmanship are in consistent with the characteristics of the celadon-white porcelains made in the Dehua Kiln of Song Dynasty. Highly collectible.